Fred Yates was a self-taught British artist, known for his plein-air paintings of English and French landscapes, particularly of Manchester and Cornwall in the UK. Self taught, he was influenced by so-called naïve art, Yate’s work incorporates bold colours, loose brushwork, and child-like abstractions. His work has a charming humour. 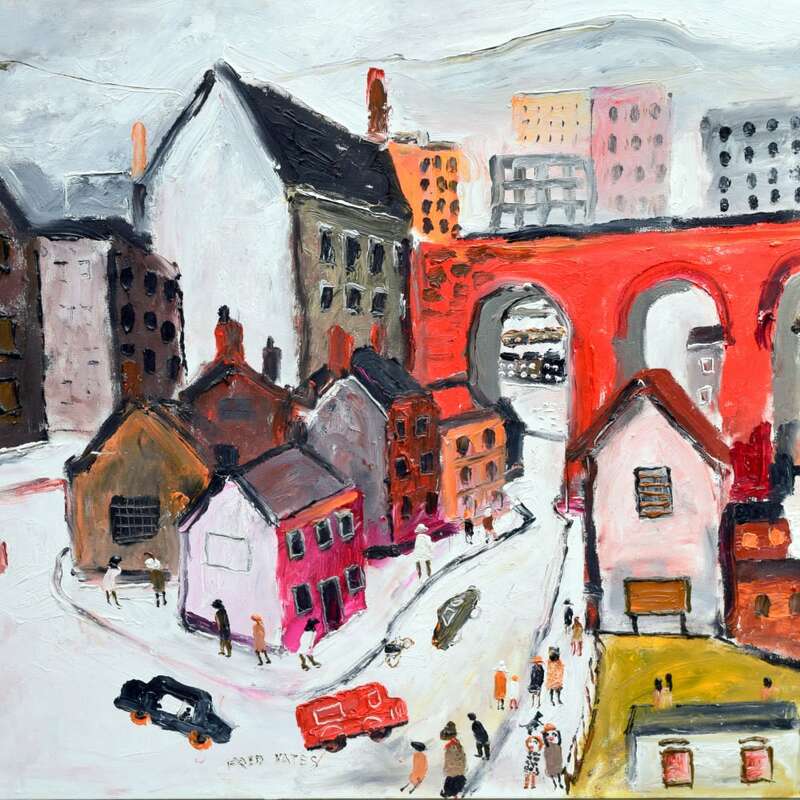 His paintings are included in many private and public collections including Brighton and Hove Art Gallery, Liverpool University, the University of Warwick, Torquay Art Gallery and Russell Coates Gallery Bournemouth.